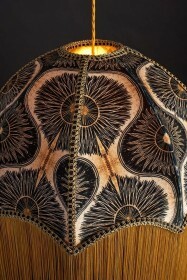 Made by Anna Hayman Designs in Sussex, the shades can take between 8-9 hours to produce. 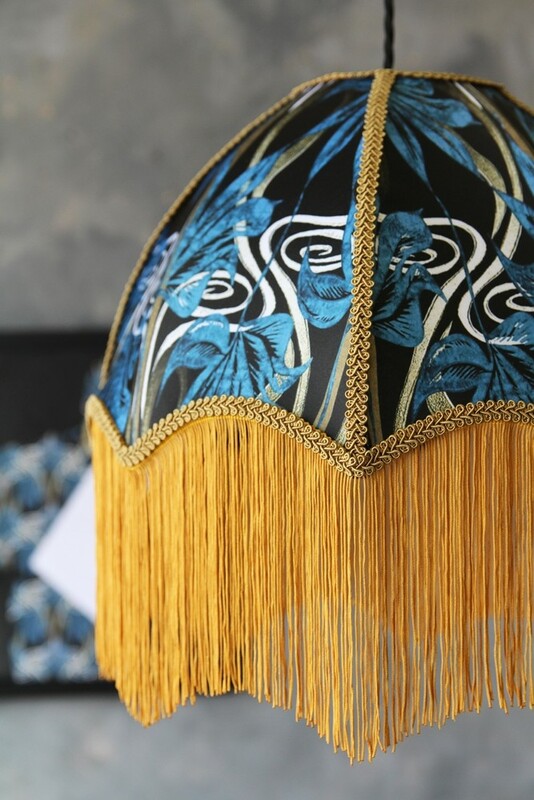 The sumptuous tones of faded peacock blue and old gold are simply stunning and will look fabulous as a feature in any room. They have been left unlined so that the light softly shines through. 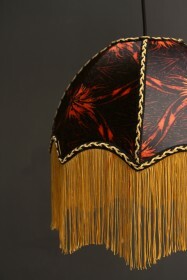 The effect is very decadent, with the long fringing and braided trim, evoking a bygone era. 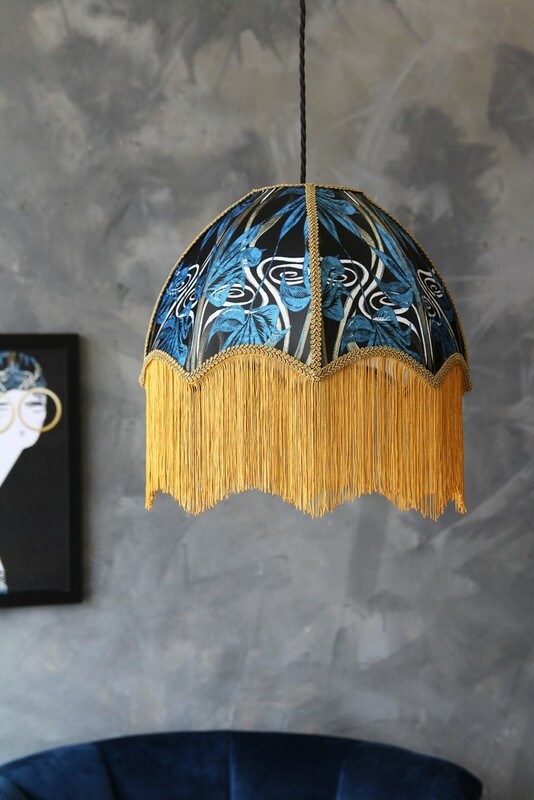 This Blue Dianne Lamp Shade is the perfect accessory to add a burst of colour and elegance to any room. 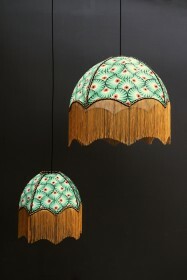 It looks fabulous used on a side or floor lamp with a pendant shade version also available. Choose between two luxurious fabrics; duchess satin or velvet and white or gold lining to suit your room.